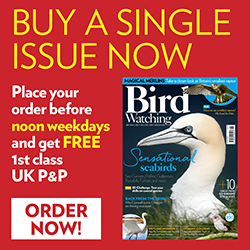 The Go Birding site guide for Weaver’s Hill, Herefordshire, which appeared in the December 2017 issue of Bird Watching (P61), contained inaccurate information. There is NO access to the country house and garden; these are strictly private property and are NOT open to the public. The route marked on the map should be ignored; the only public footpath is the Herefordshire Trail (the red dotted line interspersed with diamonds that runs east-west. Please do not leave the Herefordshire Trail to birdwatch.